The first in our workshop series at Flowers Talk Tivoli has been an amazing success! 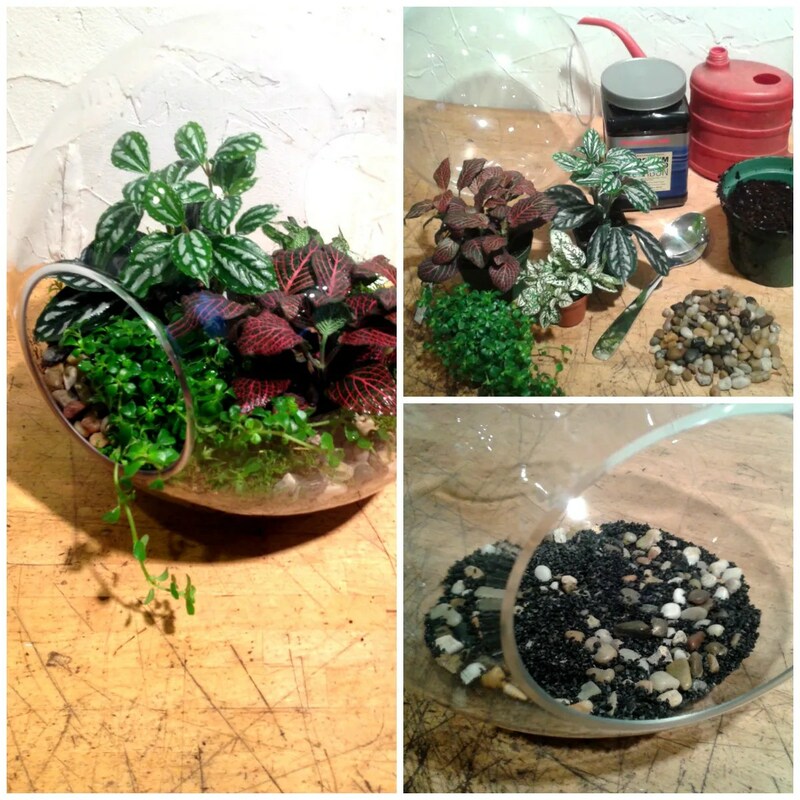 Originally to consist of only one night of glass-covered goodness it has since generated an additional 3 terrarium workshops just to accommodate the overwhelming demand for these adorable and easy to make mini-landscapes! We appreciate that not everyone is able to come to our evening tutorials so we’ve decided to dedicate a post (or two or three or…) to the basic steps to set up and care for the two common types of terrarium that we teach. In this the first we will cover what a terrarium is, why you should so totally want one and all the myriad wonderful options for said little plant havens. Many of the plants that we use as houseplants come from regions of the world that are vastly different from good ol’ Ottawa and its arctic tendencies. Even for those that may grow somewhere cooler than say, Central America, many houses and building environments are ill-suited to plants due to heating systems that dry the air and few houses that offer ideal window exposure for all the types of plant we would like to grow. 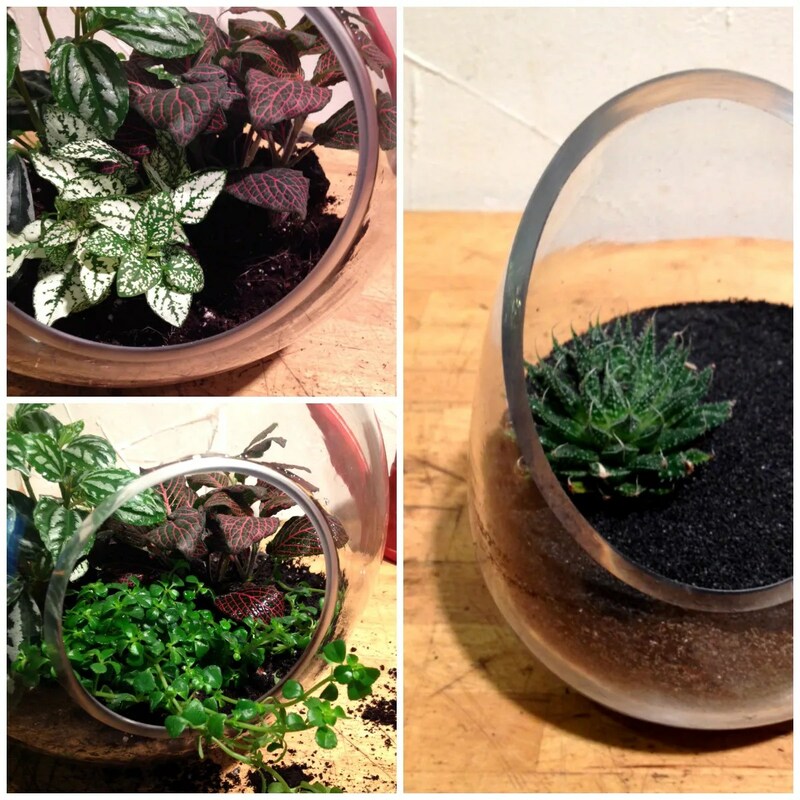 A terrarium is a container garden that attempts to recreate the natural environment to which a plant is native. Mostly or entirely closed terrariums trap moisture and heat for more delicate tropical plants such as ferns and orchids that come from canopy-sheltered rain forests. Open terrariums provide the space and drainage for plants native to more arid, wind-swept areas like deserts such as cacti and many succulents. Because they are typically made using containers that would fit happily on a coffee table, they also make it easier for proper lighting placement. The miniature self-contained bio-dome is more accommodating than several larger plants if you have limited optimal lighting for those particular types of plant. You have to remember though that glass magnifies heat and sunlight. While the open terrarium is designed for plants that enjoy full sun, a closed terrarium is meant to provide shelter. A shade-loving fern even out of a terrarium doesn’t like to be in direct light for long, under glass he would burn up pretty quick! Terrariums were created in the 19th century by botanist Nathaniel Ward and were initially called “Wardian Cases”. They were used to transport tropical plants on long sea journeys to England that previously would result in the loss of many specimens. The use of a Wardian Case as a constant environment regardless of the conditions of the sea meant the majority of plants would survive the journey. While your home is no 19th c. ship, the principle remains the same where an imperfect environment is made perfect with some simple tweaking. But will it match my décor? There are so many cool styles to choose from! Terrariums can be made in literally anything that is clear and has an opening. From specialized containers like (actual) terrariums, vases, glass cloches and old aquariums to repurposed things around the house; fishbowls, coffee carafes, light bulbs that have their butts pulled off, candy jars, mason jars, wine bottles, wine glasses, have some wine while you make it! And those are just a few of the container options, what you place and plant inside it is something else entirely. Not even getting into the amazing plants you can use (we’ll get to that later) the accessories are where it’s at! Moss, stones, tiny plastic dinosaurs, coloured aquarium pebbles, figurines, sea shells, geodes! Pretty much anything small and pretty that isn’t affected by moisture (ex cloth), it’s completely customizable. In our next post we’ll discuss the tools you’ll need, what plants you should choose based on your individual home environment and how to build your custom terrarium!